JASCO vintage wax candle drummer boy. Black smiling cat head candle for daily decor or Halloween. Vintage round metal candle holder with looped handle. Single candle holder - animal skin shade footed stand. Cameo Pink vase from Anchor Hocking. Green candle sconce shaped by LAVA Enterprise. 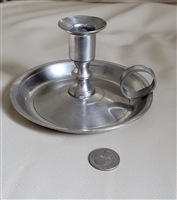 Flower top brass Candle Holder from India. Gurley Novelty Santa Claus candle. Beautiful Vintage Bulldog candle in red and orange colors. Vintage Holiday pillar candles made in Hong Kong. Vintage white pig wax candle, over 6 in tall. Large ornate candle in a Teapot shape with golden tone outlines and decoupage roses. Homer Laughlin Rose small vase. Heart shaped candle holder with a drip tray and handle. Beeswax vintage Black Bear candle.